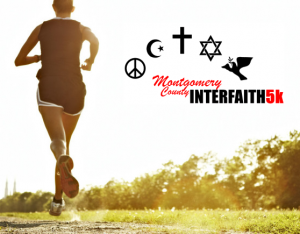 Registration is OPEN for the MoCo Interfaith 5k on Labor Day – September 3rd. Join us at the Maryland Soccerplex for a day of family fun and fitness and celebrate the diversity of Montgomery County faith communities! Click for race day agenda and other details.